It may not be appreciated, some may disagree, some may not care, some may care more than you thought, it may help someone and it may hurt someone else. It is: your honest opinion. 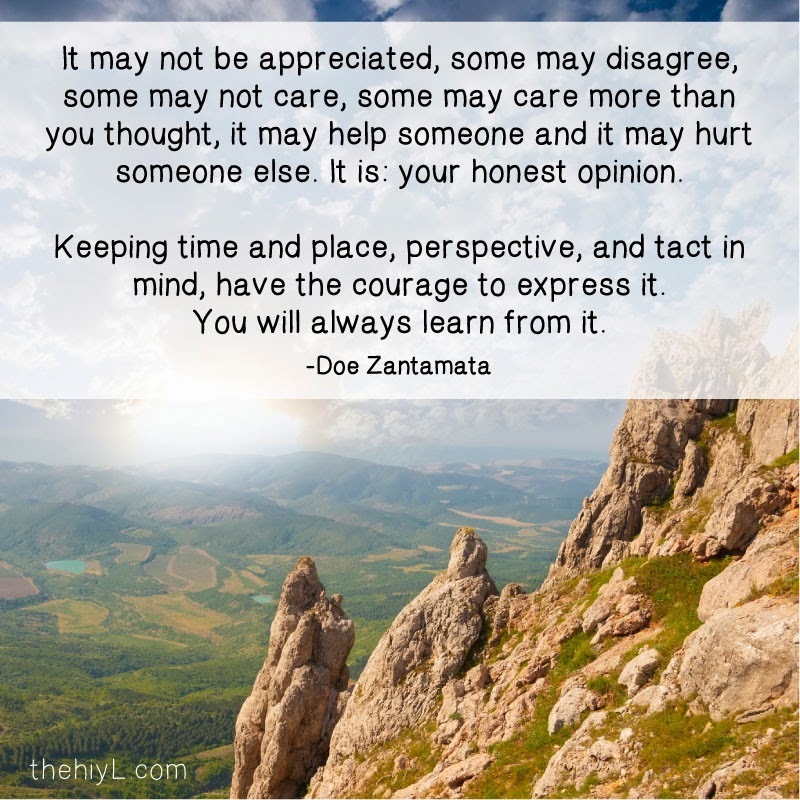 Keeping time and place, perspective, and tact in mind, have the courage to express it. You will always learn from it. You may learn that your worst fears are confirmed; that they don't care. That you don't matter that much to them. You may learn the opposite, that they had no idea and would never want to consciously act the way they had been, unaware. You may learn that your view was off, and that things look different from a different perspective. But in order to learn these things, you have to communicate openly and honestly, especially when the relationship is one that's important to you. Especially when it's one you value. It does feel awkward the first time, or times when you are afraid you'll hear what you don't want to hear, or that someone's feelings might be hurt. But we all value honesty. We all value trust. If you hold on to things for any reason, in a way, you are denying those you care about your honesty and your trust. Having the courage to do so isn't always easy. In fact, it rarely is. If you have felt anger, it may be better to calm down first and then talk about it when some of the anger has subsided...but do talk about it. Don't hold it in. Even if you are 99% sure, give the person the opportunity to make you 100% sure, one way or the other. Many people don't. Many people form entire theories about why people do what they do without ever really knowing. But in the end, most people are really good people. When they do mean or bad things, they're doing so because they just don't know better, or because of a limiting belief, because of insecurity, or because they have been hurt and have developed a fear of that happening again. In order for us to be able to grow and become better versions of ourselves, we need to express, listen, and learn...over and over again.